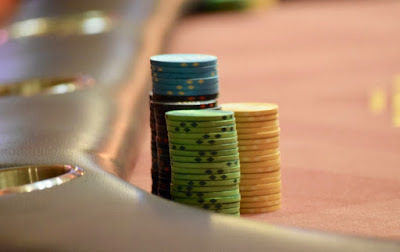 See if you can keep up as this one moves along from #TVWSOPCircuit Event 1's final table. OK, that's the preflop goodness. The board runs out Ace_King_Three of diamonds on the flop, checked and checked down also the two black Sevens on the turn and river. Zhang begins to walk away without showing her hand, but all hands must be exposed when there's an all in and a call. "I can beat that," says Khan. "Wow, I can beat that too," says Khan as he shows Jack_Ten. Um, hold on a second, folks. NOW do you see a reason why all hands need to be exposed with all-in's??? ?